It's the chance of a lifetime for gourmet baker Kevin Walker: he and his best friend, mixologist Troy, now own a Main Street dessert bar on Ember Isle, an exclusive gay millionaires' retreat. Kevin's always assumed he's straight despite a lack of interest in women. Everything changes when he bumps into a man who turns him on at first sight... The ride of Kevin's life has arrived. Billionaire Eli Black walked in on his actor boyfriend Tom with another man. His best friend Dean drags him to Ember Isle to have fun while they wait for the Tom to tell the media. As heartbreak fades, a one-of-a-kind guy catches his eye. He wants Kevin over his knee, in his bed, and in his life... But his ex isn't willing to let go yet. 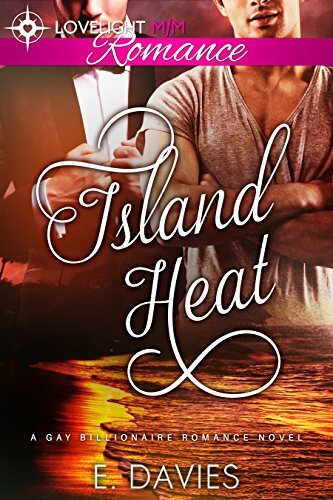 Eli and Kevin's intense mutual attraction pulls them together in the island heat. The once-burned billionaire and the not-so-straight baker desperately want to commit, but there's always a catch. They face petty politics, a treacherous ex's hidden agenda, sneaking around their friends, and a growing threat to their fun and livelihood. Secrets don't last long on Ember Isle. Can their love spark, sizzle, and scorch for life? Or will it be doused by sabotage and a ticking clock on the future of the island?